Consider that, from beginning to end, nearly every mold component must be ground. The list could include every plate in the mold base, sprue bushing, leader pins and bushings, core and cavity plates, inserts, lifters, slides, gibs, wear plates, ejector pins, core pins, date wheels and much more. This rather lowly machine tool is really the backbone of precision toolmaking. This is where the fine work is done by highly skilled craftsmen who have spent years perfecting their skills. This skill is gained very slowly, usually with a considerable amount trial and error. The typical shop has 6×12 in or 6×18 magnetic chucks on the grinders, which accommodates most workpieces. Of course, larger molds require larger chucks and grinders, and machine tool builders make just about any size required. Popular brands include Mitsui, Brown and Sharpe, Elb, Harig, Okomoto and a host of others. Accessories for the manual surface grinder are essential to get the job done right and on-time. Without high quality tooling the job becomes somewhat of a nightmare, making life much more difficult than it should be. The CNC surface grinder is an essential machine tool that very often runs nearly 24/7. Because it is programmable, workpieces may be ground unattended with a minimum of operator intervention, which frees up the operator to do other tasks. Sizes range from 6×18 in up to “huge”. The large grinders are capable of high precision work on a massive scale and are rather scary to watch. They are essentially scaled up versions of a small grinder, with scaled up sparks and noise to go with it! 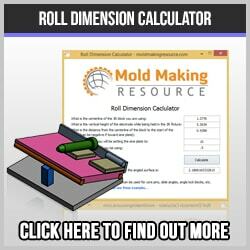 Mold bases, core and cavity blocks and larger components are typically ground on the CNC surface grinder. The flood coolant plays an important role in maintaining flatness and dimensional accuracy. This machine tool is not nearly used as extensively as in the past. Previously, single lip high speed steel and carbide cutters were manually produced with this clever machine. Thanks to the CNC milling department, sinker EDM and WEDM, most of this work is done mechanically. Nowadays, most of the use is for simple things, such as relieving cutters, sharpening special tools or making the odd cutter. Shops that have a jig grinder discover almost endless ways to use this high precision tool. At one time the jig grinder was declared to be nearly “dead”, but time has shown that it is still a great machine to have for injection moldmaking. Besides simple round holes, you can grind tapered holes to extreme accuracy, blend irregular surfaces, pick away weld on repair components, add radii to ejector blades, machine flat bottom features such as core pin counterbores in hardened steel and much, much more. Most smaller shops do not have a centerless grinder, but those that do use it frequently. Nearly anything with an outside diameter can be ground on this machine. Though they are typically used for production runs, having one adds a new dimension to the shop’s capability. Rather than using a spin fixture to grind core pins or sending the work out, using a centerless can give greater control and save money. The Ded-Tru grinder is basically a modified centerless grinder made to fit on a manual surface grinder. These machines are very accurate and versatile, though they are limited by their rather small size. For small batch runs of core pins or other round mold components, the Ded-Tru is an economical approach to centerless grinding. The shop lucky enough to have an ID-OD grinder and the skilled personnel to run it is fortunate indeed. These machines can grind to great accuracies, both internal and external. Having flood coolant is a great advantage over attempting a similar operation on a manual surface grinder, due to the fact that it helps prevent warpage and distortion. 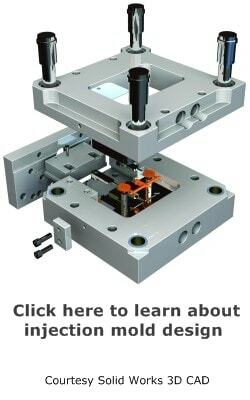 Many dimensionally critical mold components, such as cavity blocks, inserts, or core pins can routinely be ground to .0002 in accuracies. Also, the larger wheel size helps slow wheel wear, which helps maintain the shape and saves money due to fewer re-dresses of the grinding wheel. This is another grinder that is not so common in smaller shops, but essential in large moldmaking facilities. The tell-tale swirled grind lines from this machine are common on nearly every mold base you buy, as well as many mold plates. The surface grinding department in a moldmaking shop is fundamental for the overall success of any injection moldmaking operation. From beginning to end, the grinding process provides squareness, a high level of accuracy and superior surface finish. Investing in quality grinders and the necessary accessories is critical to the success of the entire shop. Time spent training personnel is essential in order to achieve the dimensional consistency required for high production injection molds. Thank you very much for sharing this useful information.It really produce high quality grinding . I was doing a project and for that I was looking for related information.It`s success of any injection moldmaking operation. Looking for injection moulding companies? Check out http://moldwel.co.uk/ highly recommend!